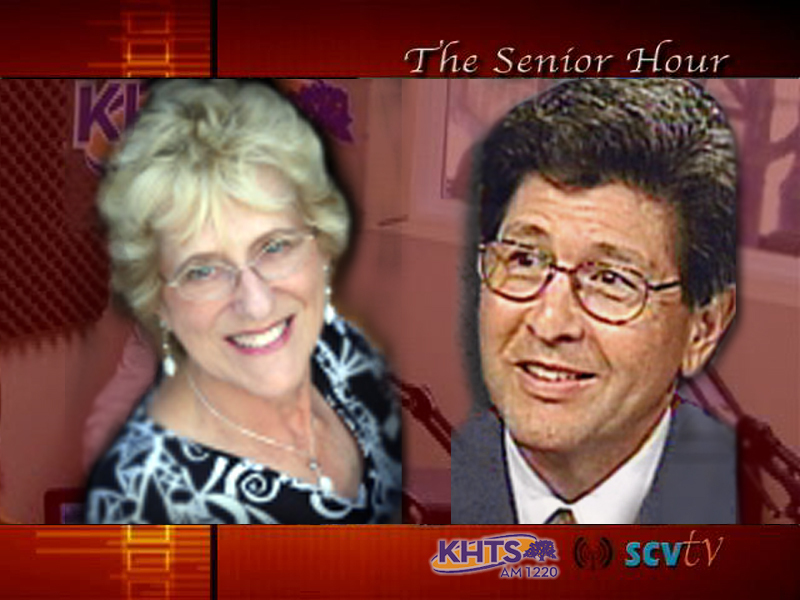 Barbara Cochran and Dr. Gene Dorio host a weekly show devoted to senior living. A London native, Barbara emigrated to the U.S. in 1947, had three kids and moved to the SCV in 1968. Her lenghth résumé of health-related charitable activity includes the founding of the SCV Community Health Council and its crisis intervention hotline; SCV Committee on Aging; Child & Family Center; Domestic Violence Center; SCV Safe Rides; March of Dimws and more. She has served on the SCV Boys & Girls Club Auction Commitee for over 35 years, co-chaired the COC Women’s Conference, helped found the COC Sympony of the Canyons and served on the SCV Arts Council. Many of these organizations have recognized her with their top honors. Gene Dorio, M.D., has practiced Internal Medicine in the SCV since 1988 and is a member of the medical staff at Henry Mayo Newhall Memorial Hospital. Today, as a cohost of “The Senior Hour,” Dr. Dorio emphasizes quality-of-life issues. “Probably the most important activity to maintain one’s quality of life for our seniors is exercise,” he says. An avid runner, Dr. Dorio has completed both the Santa Clarita Marathon and the L.A. Marathon. Involved in many community activities, Dr. Dorio assists fund raising for local groups and charities. He is also the founding president of a support group for divorced parents and grandparents, Mr. Mom & Mrs. Dad.